Well done to everyone who entered the special Christmas writing competition, held by the Ryedale Book Festival in association with the Dickens’ Gift to Yorkshire and Walker Books. Inspired by the work of author Marcia Williams, we asked you to re-tell a section of Dickens’ ‘A Christmas Carol’ in the style of a comic strip. The competition was open to writers of all ages and the winning entries will be printed in the Gazette and Herald. …to our winners, Isabel Donaldson, Rowan Lyall and Monique Preston. And a special mention to the runners up, Amy Boyes, Elliot Bulmer, Matthew Hopkins, Lucy Jeffrey, Catriona Gorden, Kirsty Farrow and Anais Fletcher. The winners were announced by BAFTA winning actress, Miriam Margolyes during her performance in the Milton Rooms. The competition started out as part of the Festival’s outreach work with local schools. 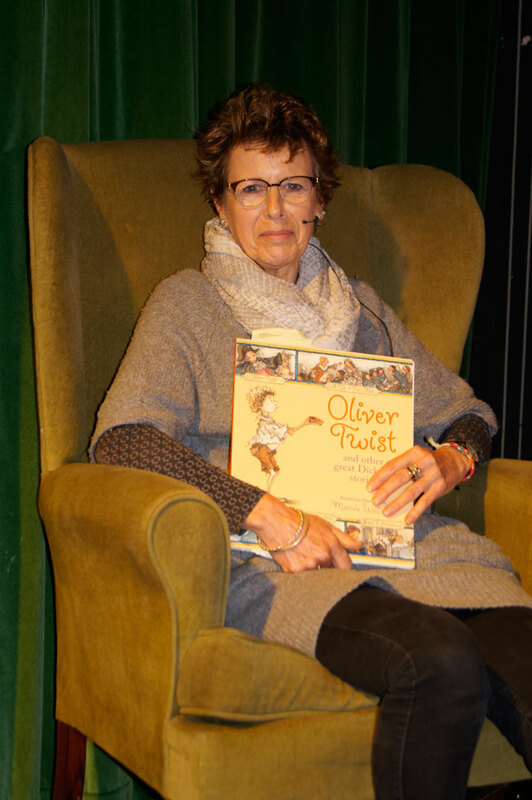 Marcia Williams spoke to secondary school children about her craft and gave them some ideas about how they might be able to transform part of the their GSCE set text – A Christmas Carol, into a comic strip. Marcia then kindly agreed to judge the competition. Marcia found that some of the entries were inspiring and beautifully drawn and she particularly liked some of the longer pieces of rewriting. 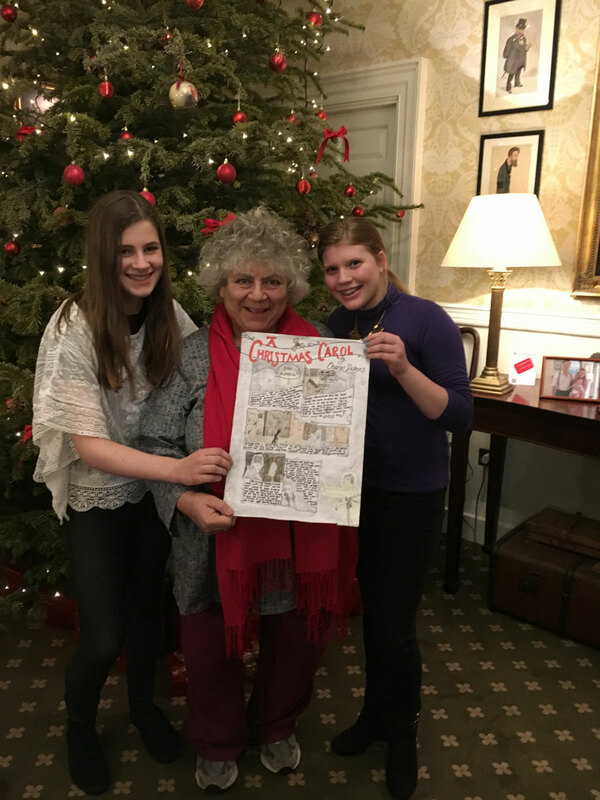 Rowan and Isabel from Malton School were congratulated by Miriam Margolyes for the winning entry that they created with Monique.